Metro undertakes to fully investigate and take appropriate action on all complaints, on a confidential and impartial basis. Metro is fully behind the “Say NO” to bullying campaign. Bullying should not be tolerated anywhere. Metro is committed to raising awareness about the devastating impact bullying can have on people’s lives and of measures to put a stop to bullying. An important way to help put a stop to bullying is to educate young people about the issue and encourage them to speak up if they are either a victim or a witness of bullying. 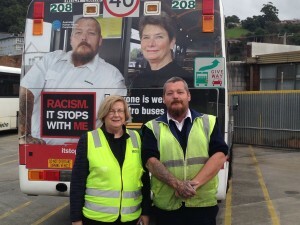 In June 2014, Metro launched three bus advertisements – one each in Burnie, Launceston and Hobart, to support the campaign’s main message. 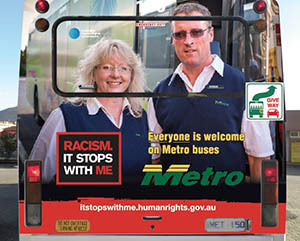 These ads feature Metro employees expressing their commitment and that of Metro Tasmania to help fight against racism. 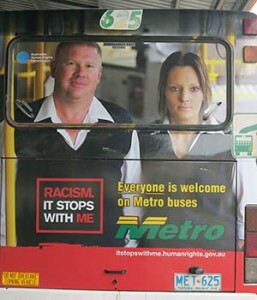 For more information on this campaign, please visit the Australian Human Rights Commission website. For more information on this campaign, please visit the Australian Human Rights Commission website.